Supreme Grand Champion Iskusnik is the proudest daddy of them all! 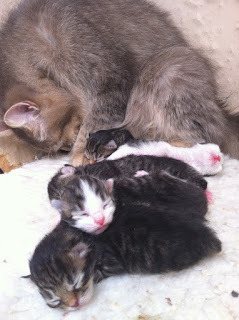 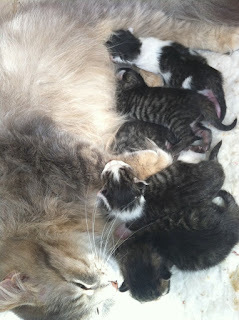 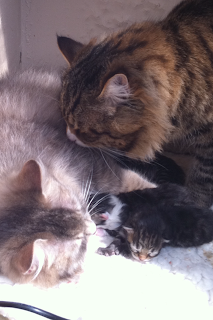 His first kittens with Regional Winner Matriona have arrived three days early. and reassuring their mum at the same time.